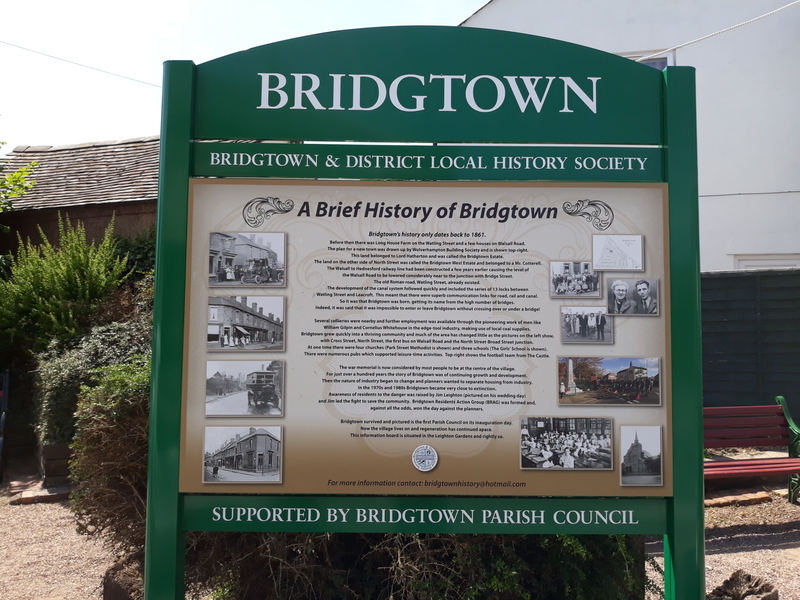 This page will give updates and information on the progress of the Heritage Trail and the erection of Boards around the village which tell the story of Bridgtown’s Industrial, Commercial & Social History. 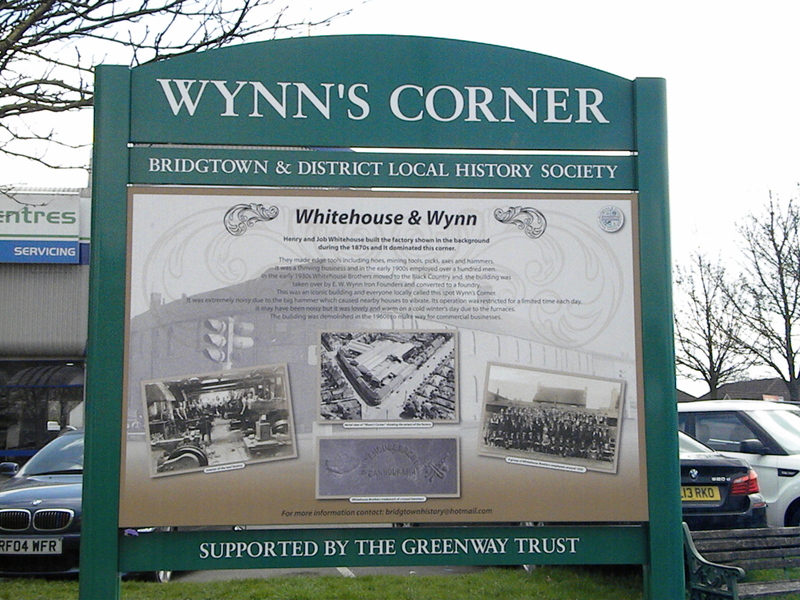 As of 6th July 2018 , 5 boards are now in place and plans for more are in progress. Situated outside the “Costa Coffee” outlet on the new Island retail park. 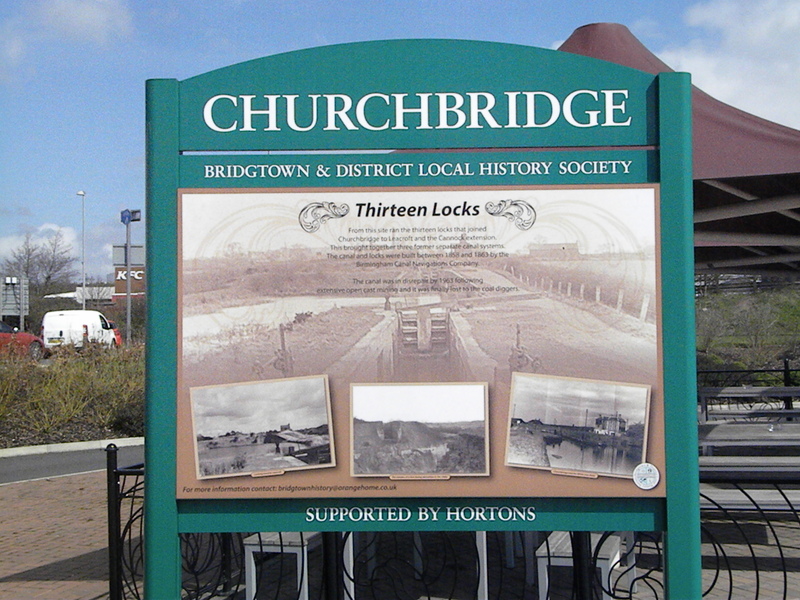 It is named as Churchbridge due to the area it is in. 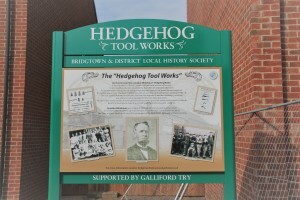 On this site was the Edge Tool Factory of William Gilpin who moved here from Wedges Mills in 1806. 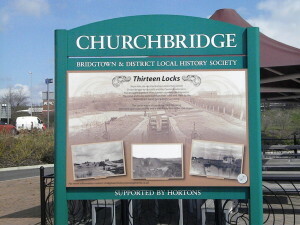 A system of 13 canal locks from the factory basin to the Cannock & Leacroft Canal took produce and brought in coal and iron. This was prior to the Railway which arrived in the mid eighteen hundreds. Gilpins built a track from the factory to the main line and although the canal was still used up to the 1950’s the canal’s fate was sealed. 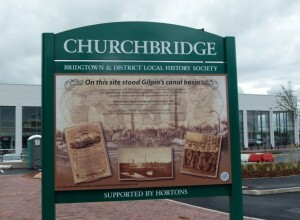 This board was funded by the retail park developers – Hortons and we offer our grateful thanks to them. 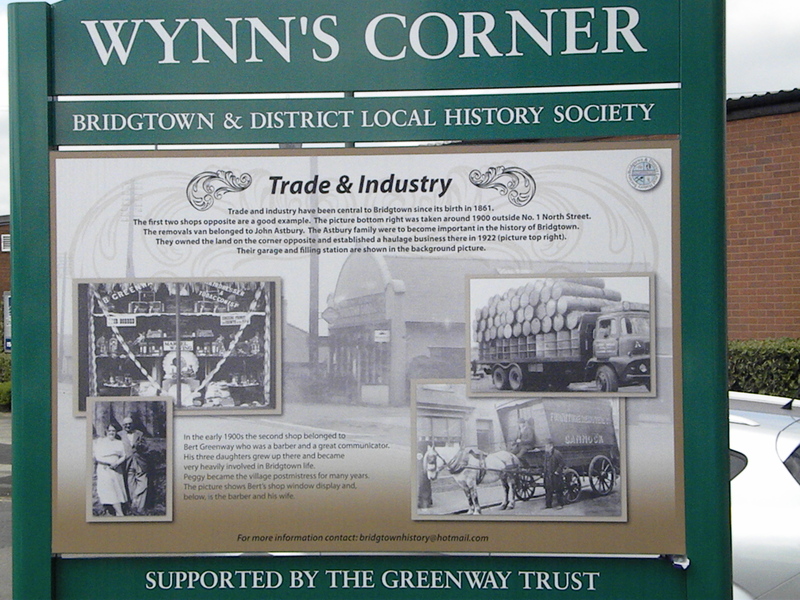 This board is situated on Walsall Road, opposite the Virage Tower & the new “Range” Store. 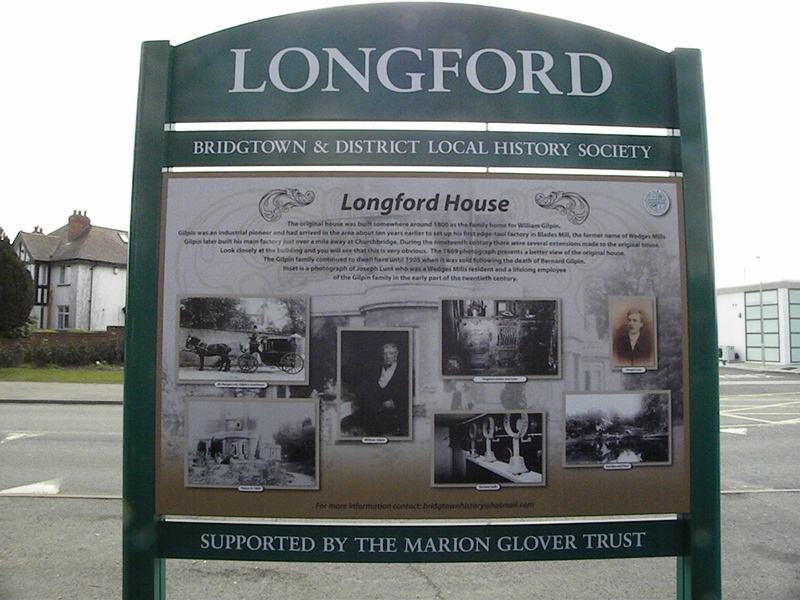 It is now a very nice housing estate but we and the Parish & District Councils and developers Galliford Try have been instrumental in commemorating the Industrial past of this piece of land. As with Gilpin’s, Cornelius Whitehouse works was world reknowned for its edge tools . It’s “Hedgehog” patent stamp appears on the internet sales sites from around the world with people still using and buying their tools. 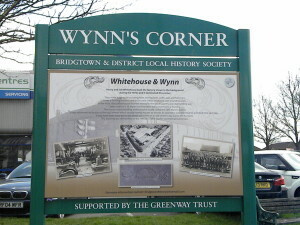 This board is on the corner of Watling Street & North Street and has been called “Wynn’s Corner” since E.W.Wynn bought the foundry on the site from the “Whitehouse Brothers” ( siblings of Cornelius Whitehouse of “Hedgehog Works” fame) who had built and operated the site. It was a typical foundry and fire & sparks were to be seen inside the factory, quite a sight for the youngsters of the village until it had its hours cut due to the fact that its heavy hammers caused the local houses to vibrate. It was sold on to Cincinnatti Milacron of America until it closed in the 1960’s. Across the road (where the garage is) was Astbury’s Transport yard. 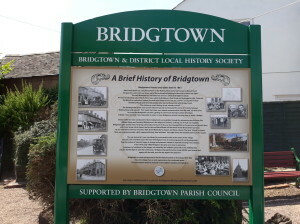 The Astbury’s were an important family in the history of Bridgtown. The Greenway family had a Grocery shop on the opposite corner from 1902 run by Bert Greenway. 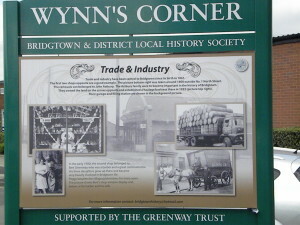 It is a bequest from the Greenway Family that enabled us to put up this board and we are very grateful for their support. 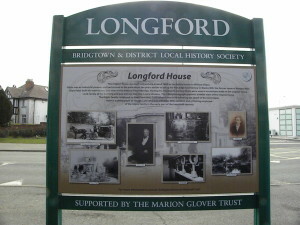 Longford House was built in c1800 for the Gilpin Family who were edge tool makers in Wedges Mills, then moved to Churchbridge. They moved from there in 1905 when Bernard Gilpin died. 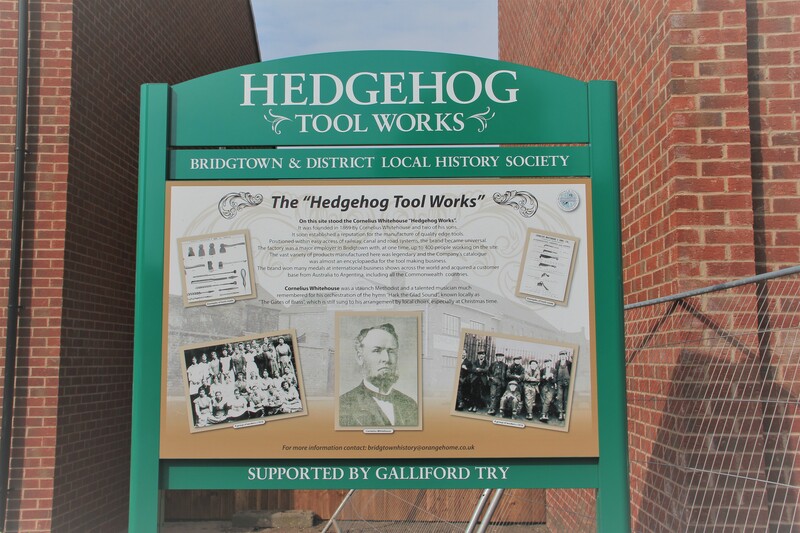 Joseph Lunt, who was a Hammer Maker for Gilpins, Wedges Mills, rising to Foreman of the Hammer Shop, is noted on the board because his relative, Marion Glover (nee Lunt) trusted the money for the erection of this board, which couldn’t be funded otherwise. Our thanks to the Lunt Family for this generous gift. Longford Island on Watling Street / Wolverhampton Road junction has not always been a traffic island. As the board shows in the late 1800’s into the early 1900’s the road was still a large one but had nowhere near the amount of traffic on it. Across from Longford House there has been a petrol service station since the 1920’s. It has just been completely rebuilt to cater for the traffic. 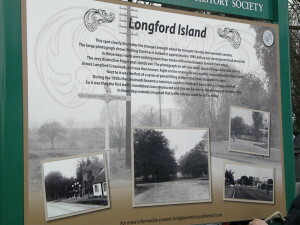 Because the junction was an “accident black spot” in the late 1950’s it was changed to an island. The other side of the island is “Wedges Mills”. 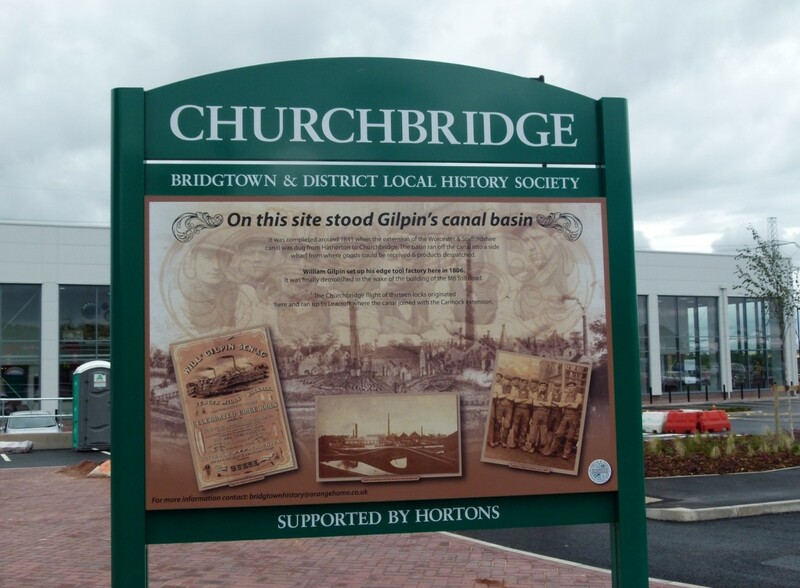 a small village where Gilpin buildings for the workers were built.